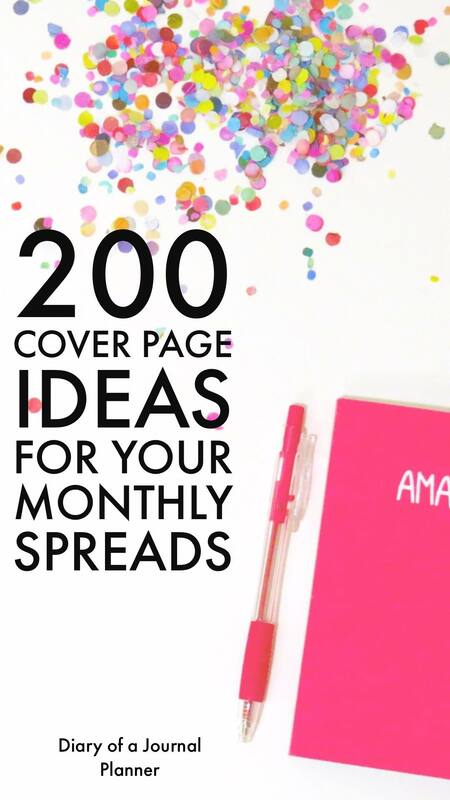 Find here over 200 amazing bullet journal monthly cover inspiration! 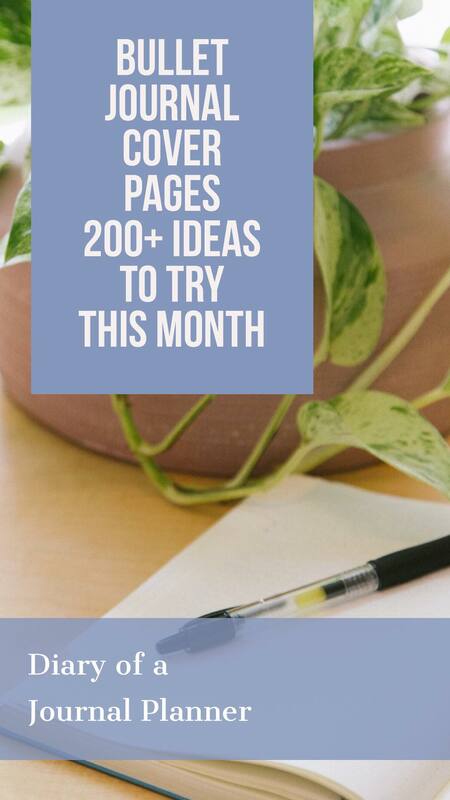 If you have searched for anything to do with Bullet Journals on social media you will have been sure to see a whole array of beautifully decorated pages with the name of a month on it. These are bullet journal monthly cover pages. They not only make your journal look amazing but can be a pretty important part of any Bullet Journal. 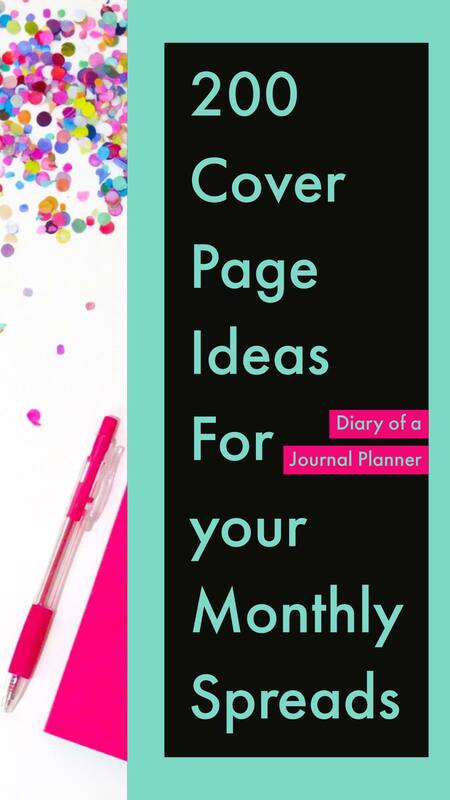 So, you may be asking yourself, what is a monthly cover page for and do I need a monthly cover page in my bullet journal? This is along post with lots of ideas. If you want to get straight to a specific month cover, just use our table of content below. 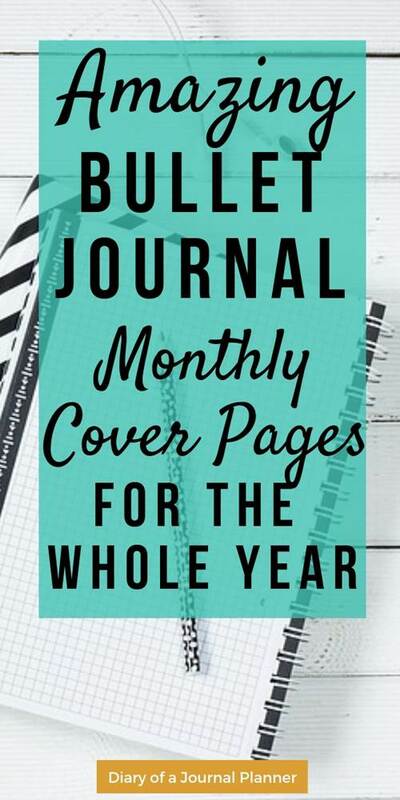 What Is A Bullet Journal Monthly Cover Page? Do I Need Bullet Journal Monthly Cover Page? At it’s most basic a monthly cover page is a single or double page in your journal that has the current month and usually some form or art journaling. Unlike most other pages in your journal, this page is pretty much just a fun space to let your creativity run wild. I usually find with my monthly spreads they are so chockablock with all the information I need for the month, I don’t have leftover space to let my imagination run free or practice things like my hand lettering and doodles. A monthly cover page is a fun and easy way to make sure I get creative at least once a month. Firstly, if you are new to bullet journaling, I recommend you start by heading over to our great post on how to start a bullet journal which is full of all the information and hacks you need to begin your bujo journey. 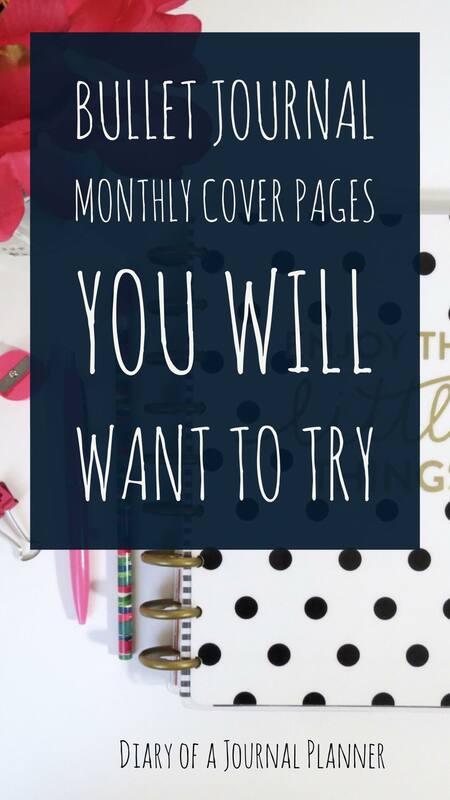 Once you know the basics it will be easier to decide if you should have a monthly cover in your planner. I already covered why a monthly cover is great for creativity but it can also be a really practical component of any journal. But, how? Well, a cover page is a natural and easy way to separate the months in your bullet journal. If you have an odd page left over after a month of journaling a cover page for the next month is a fantastic way to use that space and continue the flow of your journal seamlessly. They are also a fun way to introduce a theme for the month as well as a space in your journal to reflect on what things you love about the season or month. The things you love about that month and time of year. In the huge roundup below, I have collected gorgeous examples of monthly covers for each month. There are some stunning covers done by the beautiful bujo community and are great for getting some inspiration for your own covers. Even though I have put them in calendar order, remember that bullet journalling is an individual and unique journey so feel free to use ideas and mix them up for any month of your choosing. I would love to see what covers you have come up with so be sure to share them with me in the comments at the end of the post. The best thing about bullet journals is the lovely bujo community! I love that everyone is willing to share ideas, artworks and thoughts about journaling. Some ideas I love for a stunning January bullet journal cover are cozy winter themes and New Years Fireworks. It is also a great place to pop down your exciting new goals for the year. 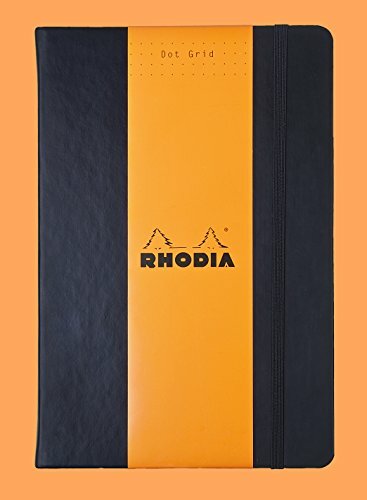 Looking for a new notebook to start your bullet journal for the year? Click to check out our favorite dotted notebook. I love how simple yet effective this cover page is. 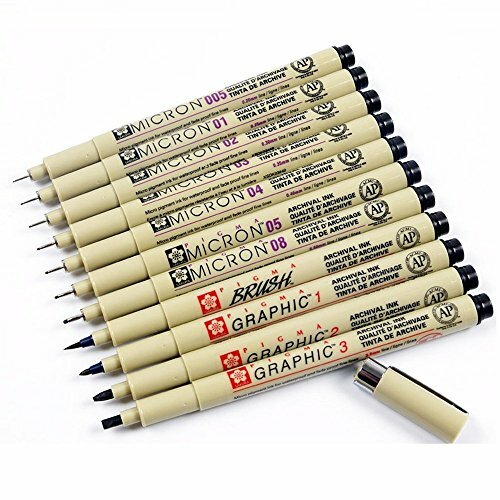 All you need is a ruler and a fine pen like this one here. The month with love in the air. As you can probably guess, there are lots of heart themes for these cover pages but there are plenty of other gorgeous ideas too. 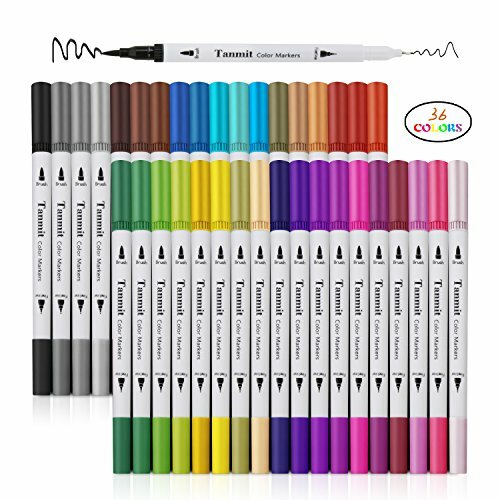 These Tombow Dual Brush Pens are a firm favorite with bujo fans. If you haven’t tried them yet, I suggest you splash out and order some. This would make a gorgeous cover page for if you are lucky enough to be traveling that month too. Spring is in the air in March. Lots of floral designs are in these March cover pages but there are also some stunning geometric doodles. I love the idea of saying goodbye to the previous month. Such a sweet way to end the month. As you can see, lots of these gorgeous monthly cover pages use flowers. If you want some easy step-by-step guides to floral doodles head over to our comprehensive post where we show you over 50 different flowers to draw. April shower themes and lots more spring time flowers are popular for April bullet journal themes. Some of my faves here though are the Harry Potter spread and fun Easter cover page. This would be such a fun cover page for your birthday month. How amazing is this Harry Potter Cover Page! This Disney Bullet Journal theme would be perfect if you are heading to anywhere Disney in the month. Beautiful flowers, a little more Disney magic and a cute bee cover page are in the May collection. Summer is coming! Fun colors, juicy fruits, and a simple coffee theme cover page are all included. 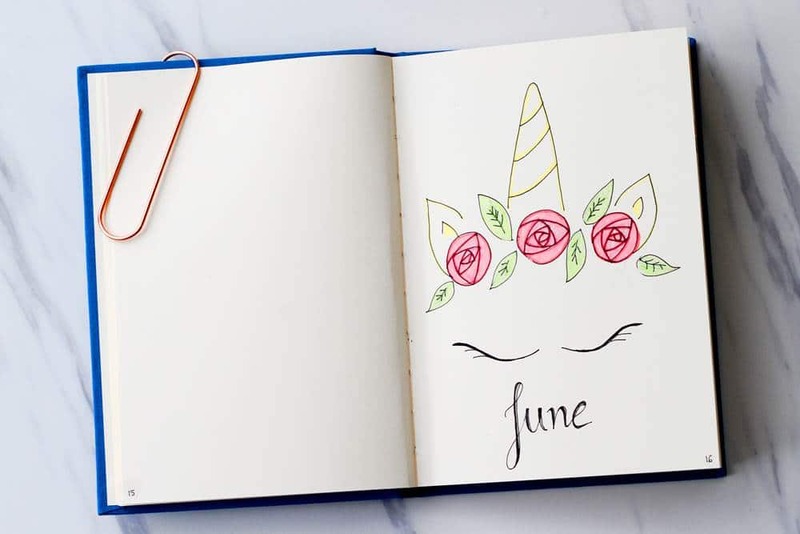 Some of my faves are this unicorn bullet journal theme and the stunning hot air balloon cover pages. Washi tape is such a simple way to add color and fun to a bullet journal color page. Find out the best washi tapes for bullet journals here. From 4th July cover pages to fun summer bullet journal themes. The sun is shining and bujos are bright and colorful. This design is created with just washi tape! Find out more ways to use washi tape in your bullet journal here. Dandelion themes, feather doodles, and a stunning teepee design are some of the cover pages for August. This is a gorgeous minimalist cover page. I love how easy this one is. Even if you can’t draw this is a great way to make your cover page look great. The weather is turning and so are the leaves. There are some gorgeous fall bullet journal theme ideas here. Need to learn how to do special fonts for you bullet journal? Here are some of our favorite fonts to use in bullet journals. Spooky Halloween themes and more fall bullet journal ideas are here for October cover pages. More fall muted colors, cozy cups of tea and mountain designs. Here are some gorgeous cover page ideas for November. It’s the festive season. Lots of Holiday doodles, Christmas cheer, and winter wonderland themes. Want to try this yourself? Head to our step by step Christmas Doodle guide. Want to get creating your own cover page? Check out our ultimate guide doodles for bullet journals. 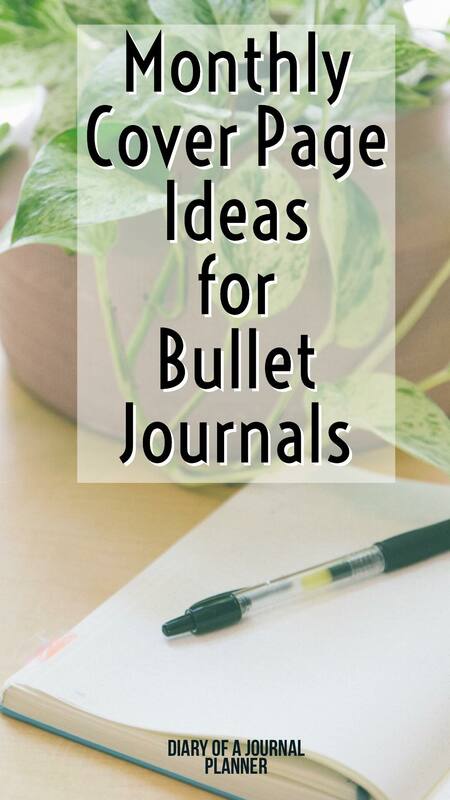 And get stocked up on these essential Bullet Journal Supplies.